You’ve gotten the exciting and potentially terrifying news that you’re pregnant: congratulations! Your life is about to change in some very real and very profound ways, and if your mind isn’t already going a thousand miles a minute, no doubt it soon will be. You likely have more questions than you have answers, and while you may be tempted to fall into the abyss of Googling all your questions, stay calm. Relax. Smile. You’ve got this. 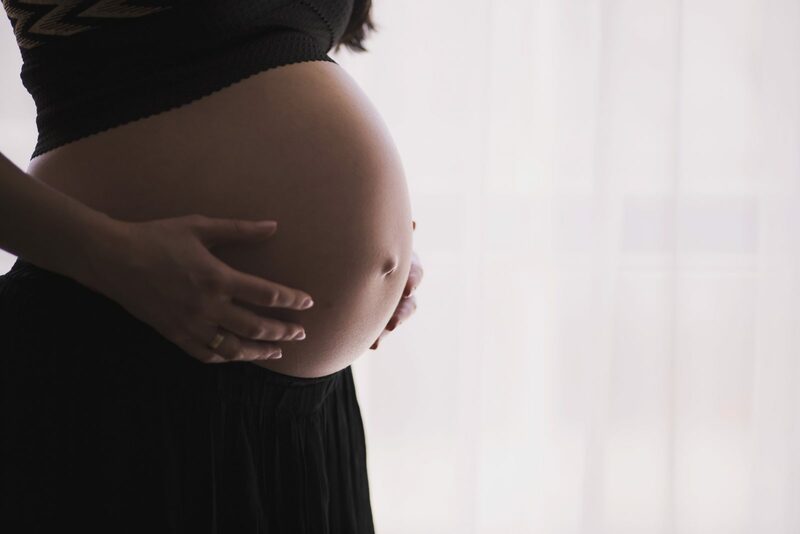 Many women embrace pregnancy and the way their bodies grow throughout their 40 week journey, but many also fear it and don’t look forward to the weight gain and concurrent muscle pains and aches that accompany a growing midsection. To mitigate weight gain, and for some, to keep up with habits that they established before they were pregnant, many pregnant women turn to working out throughout their pregnancy. Fortunately, the medical community has come full-circle on their exercising-while-pregnant recommendations. It wasn’t that long ago that most practitioners would discourage pregnant women from working up a sweat, thanks to some ill-founded fears about what consequences would arise from a pregnant woman getting her heart rate up. These days, unless you have an underlying medical condition that’s contraindicated against physical activity during your pregnancy, chances are likely that your practitioner will give you the go-ahead. Below, I’ll share some tips to help you safely run throughout your pregnancy. A note, first: I’m not a medical professional. The advice that you get from your practitioner supersedes anything I write here. Always consult with your provider for any specific questions you have related to your particular pregnancy. Ask your practitioner first. Sure, it’s likely that your practitioner will give you the green light, but don’t be presumptuous. Have a conversation with him/her at one of your appointments, and ask if he/she thinks it’s ok for you to continue to run throughout your pregnancy. It’s better to be safe than sorry. Stick with what you know. If you ran before you were pregnant, you’ll likely get the go-ahead to continue running through your pregnancy. Your body already “knows” what running feels like — think: muscle memory — and it’ll adapt accordingly as your body changes with your pregnancy. 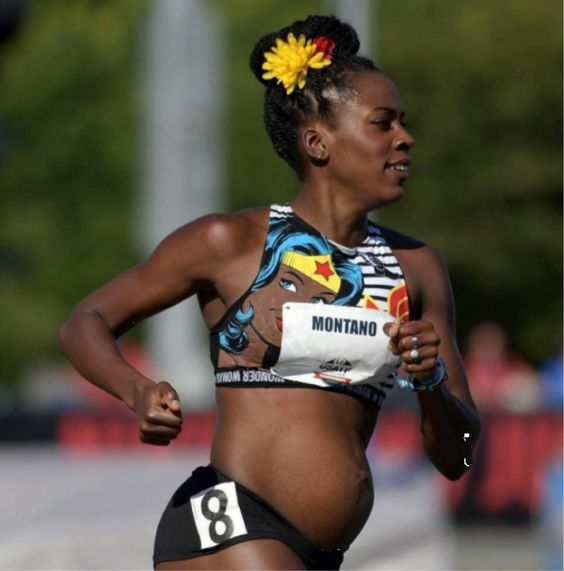 If you weren’t a runner before your pregnancy began, however, I’d encourage you to consider taking up the sport after your delivery. Running isn’t a contact sport in the sense that lacrosse or football are, but it can still be a rough sport on your body, particularly when you’re getting into it for the first time. Again: better to be safe than sorry. Take it easier than usual. It wasn’t too far back that medical practitioners thought that pregnant women needed to keep their heart rates below 140 beats per minute; these days, the heart rate recommendations have essentially gone out the window. The spirit of the recommendation is valid, however; ideally, if you’re pregnant and working up a healthy sweat while you’re running, your heart rate should still be under control. Instead of doing all-out sprints, for example, your running should be much more comfortable, and you should be able to carry on a conversation comfortably with others around you while you’re running. If you’re gasping for breath and can’t maintain words, then you likely need to take it down a notch. Remember, if it’s hard for you to take in oxygen while you’re running, then it’ll be hard for your fetus to do the same. Keep your expectations low. Closely related to my above point, when you’re running for two, it’s important that you manage your expectations and keep them relatively low. It can be tempting to compare your pregnancy to that of those around you, or people you follow online, but please refrain. Every single pregnancy is different, and that’s even true for each woman; in other words, your first pregnancy may feel very different from your subsequent(s). If you’d like to run while you’re pregnant, don’t expect to be setting mileage personal records or pace personal bests. Instead, run for the simple joy of running — likely the reason that got you into the sport in the first place — and because it helps you feel well. That’s more than enough! Always listen to your body, and don’t be afraid to stop. Again, social media makes it seem like everyone is a badass and is out there accomplishing superhuman feats, and it can be hard to not fall into the comparison trap. If you decide that you no longer feel well running while you’re pregnant, then don’t do it; it’s really as easy as that! If you’re out running and suddenly something doesn’t feel right, by all means, listen to your body, stop, and walk it in. When you are pregnant, not only are you obligated to take care of yourself, but you also don’t want to do anything that will jeopardize the health and/or well-being of your growing fetus. If something feels awry or simply seems “off” when you’re running, take no chances; stop, assess, and possibly try again another day. Mind your risks. Finally, even if you were a prolific trail runner before you got pregnant and remain really comfortable on them, it’s super important that you remain mindful of your risks while you’re running for two. As your midsection increases in size, minimize your injury risk (and propensity for falling), and consider stepping back from super technical, super hilly trails. Falling and injuring yourself and your fetus is a real threat as your pregnancy advances, so ideally, you ought to consider not putting yourself in (potential) harm’s way, if you can help it. You can continue to run trails, of course, but consider sticking to fire roads or passages more traversed and less technical. With a good amount of flexibility and patience, you may find that running while pregnant is actually quite enjoyable. It’s a fantastic way to re-acquaint you with “running for the fun of running,” a sentiment that many runners leave behind once they become saturated in the competition of local races. More than anything, it’s critical that you listen to your body if you run while you’re pregnant and that you don’t shy away from stopping altogether or reeling things in periodically, as situations warrant it. If all goes well, though, you’ll have even more stories to share with your newborn of all the adventures you two embarked on together during your “running for two” days. Traveler, sporty and hiking addict. Producing at the junction of minimalism to answer problems with honest solutions.